This is our favourite milkshake. It is creamy, smooth, and has a rich buttery taste. And it has none of the guilt associated with gulping down an icecream milkshake made with real cream. When made with the right ingredients, it becomes a healthy indulgence. Use fresh coconut milk if you can find it, otherwise use light coconut milk. 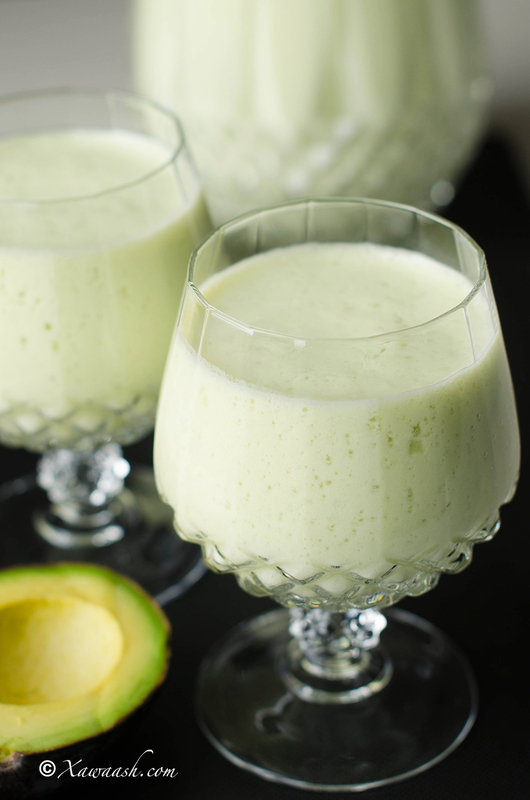 With the buttery creaminess from the avocado, you can use low-fat milk and still get that rich taste the we like in milkshakes. In so many of our recipes, we mentioned how those foods brought back good childhood memories. We hope that you won’t be disappointed if we tell you that this smoothie brings back no such memories. Avocados do grow in Somalia but we remember that it was a fruit that most Somalis were not familiar with. Buy an avocado that will yield when you push it gently with your index finger. If all you find are rock-hard avocados, don’t despair. Place it in a paper bag with an apple or banana or both and leave it on the counter. The avocado will ripen quickly. 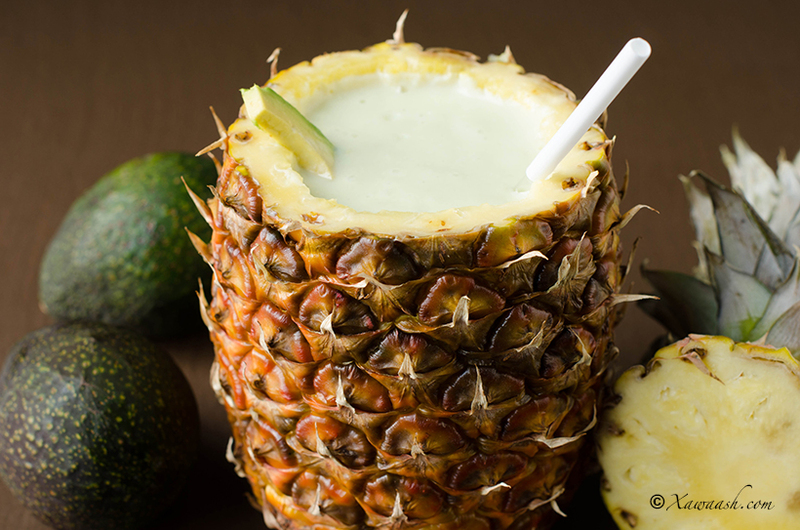 If you are adding fresh pineapple to the smoothie, the pineapple must be very ripe, otherwise you will end up with a bitter-tasting smoothie. 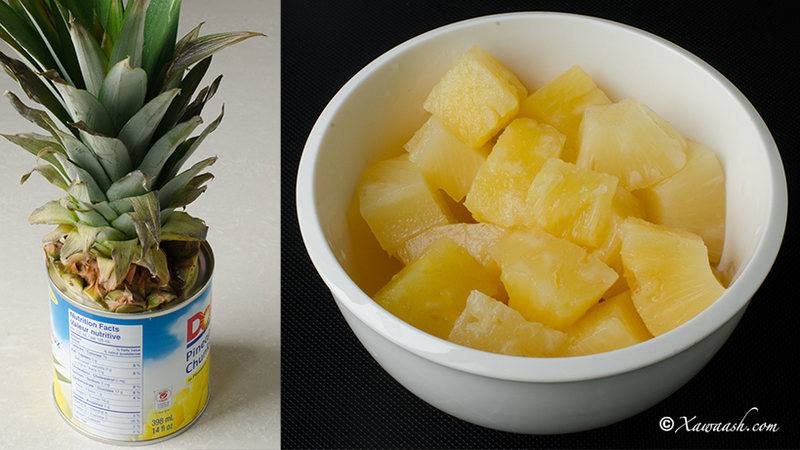 Canned pineapples will work well in this recipe. Cut the avocado lengthwise around the stone. Twist one half to release it from the stone. 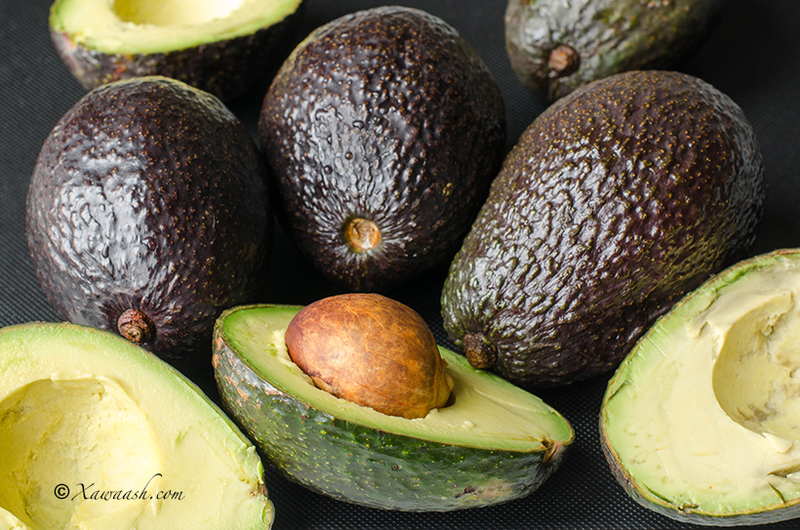 Place the avocado on the cutting board, then stick a sharp knife in the stone. Twist the knife to release the stone. Cut off both ends of the pineapple and trim the sides to remove the skin. Cut around the core and remove the core. Middi ku jar ilaa lafta. Gabalka kore wareeji si aad lafta uga fujisid. Afokaadaha waxaad saartaa qoriga wax lag jaro. Middi af leh lafta ku dhufo oo xoogaa ha dhex gasho. Maqaadiirta ku wada rid khallaad. Casiirka waxaa qaddintaa isagoo qaboow. Waa inaad isticmaashaa cananaas aad u bisil. Hadduu cananaaska si fiican u bilayn, casiir qaraar ayuu noqonaayaa. Cananaaska laba dhinac ka jar kaddibna maqaarka ka jar. Dhinacyada ka jar si aad uga saartid dhexda. Dhexda way adag tahay, si fiicanna looma shiidi karo. Il s’agit de notre milkshake préféré: crémeux, doux, au bon goût de beurre. A la différence des milkshakes composés de crème glacée, il ne crée pas ce sentiment de culpabilité. Quand il est fait avec les bons ingrédients, il devient un plaisir sain. Utilisez du lait de coco frais si vous en trouvez, sinon prenez du lait de coco léger. 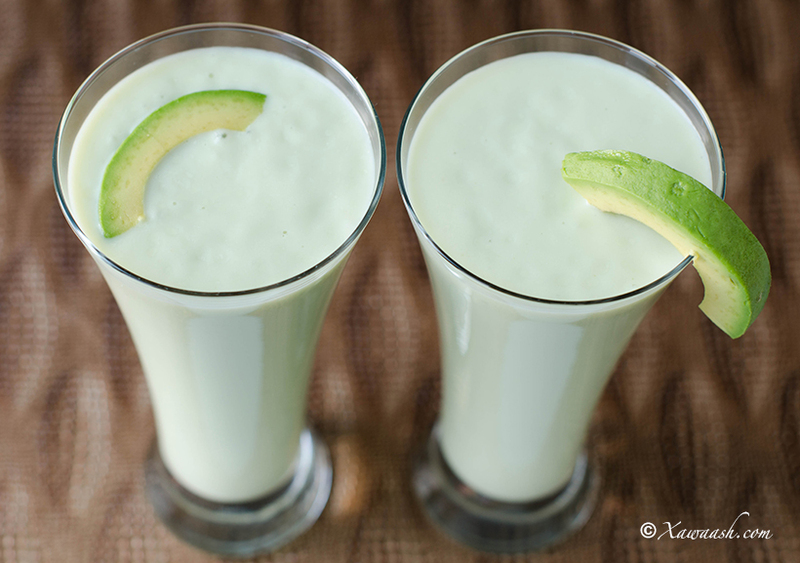 Comme l’avocat est crémeux, vous pouvez utiliser du lait écrémé et vous obtiendrez quand même le goût riche des milkshakes. Souvent dans nos recettes, nous vous racontons comment certains aliments nous évoquent des souvenirs d’enfance. Nous espérons que vous ne serez pas trop déçus d’apprendre que ce smoothie ne nous évoque aucun souvenir. L’avocat est cultivé en Somalie mais nous nous rappelons que la plupart des Somalis n’étaient pas familiers avec ce fruit. Choisissez un avocat qui est souple quand vous appuyez dessus avec votre index. Si vous ne trouvez que des avocats durs et pas mûrs, ne paniquez pas. Mettez-en un dans un sac en papier avec une pomme ou une banane ou les deux et posez le sur le plan de travail. L’avocat mûrira rapidement. Si vous ajoutez de l’ananas frais au smoothie, il devra être très mûr, sinon vous obtiendrez un smoothie au goût amer. Les ananas en boite conviennent très bien pour cette recette. Couper l’avocat dans sa longueur autour du noyau. Tourner une moitié pour la détacher du noyau. Poser l’avocat sur une planche à découper, planter un couteau aiguisé dans le noyau. Tourner le couteau pour retirer le noyau. Couper chaque extrémité de l’ananas et couper les bords pour retirer la peau. Découper autour du coeur et retirer. 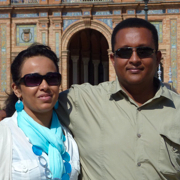 Walaasheenna qaaliga ah waa ku mahadsan tahay sida aad mar walba noo xiriirisid. Ilaahay ha kaa abaal mariyo, qayr iyo farxadna ha ku siiyo. Mahadsanid walaal. Waan ku faraxnay faalladaada. Aamiin walaal. Adigana intaad noogu ducaysay iyo in ka badan ayaan Ilaahay kaaga baryaynaa. Aad iyo aad ayaan ugu faraxnay hadalada wacan iyo ducada qaaliga ah. Ilaahay ha kaa farxiyo. Waa ku mahadsan tahay faallada fiican. Qayr ayaan kuu rajaynaynaa. Adigaa mahadda mudan walaal. Waan ku faraxnay faallada fiican iyo ducada, waanna ku mahadsan tahay. Qayr ayaan kuu rajaynaynaa. canaha iyo pinappleka hada la’isku sheedo makala go’ayan miyaa? waligay saas aya u malayn jiray lakin waligay manan isku darin,wad mahadsan tahy. asc, walalayaal aad iyo aad ayd u mahadsan tihiin kheyr badan illah ha idinsiiyo, sidad ad noo caawisan mar waliba, although this ingredients are unavailable in xamar insha’alah i wish next posts to be applicable for us and thankz alot, we always appreciate for your honorable sacrifice, may allah give you more kheyr insha’alah. We always try to use ingredients that are available for most people, particularly our viewers in Somalia. When we were in Somalia there were plenty of avocados in the market in Mogadishu. As for the pineapple you can use the canned one. Thank you for your kind words. God bless you. Salam. That looks very tasty drink. But can I skip the ice cubes ? Thank you. Yes, you can blend without ice cubes; however, it will be thicker. Thank you. Walaal aad iyo aad ayaa ugu mahadsan tahay faallada qaaliga ah aad inoo soo qortay. Si aan kaaga caawino waxaan u baahan nahay inaad nala socodsiisid sida ay kaa noqotay. You are most welcome. Thank you for being a fan. This looks great! 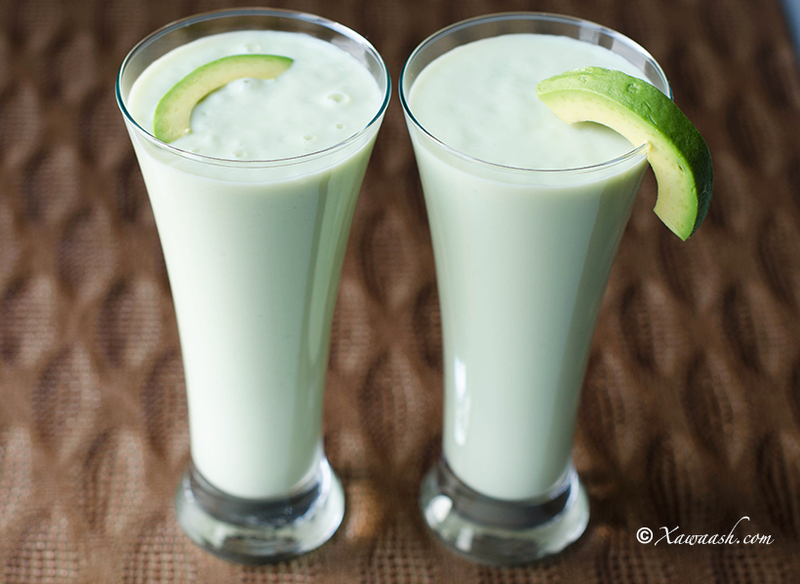 I have no idea why I’ve never considered avocado for a smoothie considering the consistency would work well for it. I hope you are both well. Still looking to do that interview! Adhis, thank you very much for your comment and greetings. Please be a little patient. We will get to that interview. We appreciate very much your interest in our blog. Walaal aad iyo aad ayaa ugu mahadsan tahay qoraalka wacan. Waxaan rajaynaynaa inaad ka faa’iidaysanaysid. A/S walaalayaal aad iyo aad ayad u mahadsantihiin. ilaahay ha idinka abaal maryo hawsha wacan ee aad haysaan. Walaalo cabitaankan markii aan sameeyay oo aan isku shiiday waxyaabihii uu ka koobnaa hadana markii aan dhameeyay inkastoo uu bilowgii si fiican iigu dhandhamayay hadana kadib markii uu saacad qaboojiyaha ku jiray xoogaa qaraar ah ayaa iiga dhandhamay. Maxaa u sabab ah markaa qaraarkaa gadaal ka soo baxay? Adigaa mahadda mudan walaal. Cananaaska hadduu si fiican u bislaan qaraar ayuu keennaa. Waxaa isticmaashaa cananaas aad u bisil ama midka gasaca. Masha’allah. We are very happy for you. Thank you very much for letting us know. God bless you and Ramadan Kareem. Thank you so much for writing back. We are happy you liked it. just wanted to say that i love this website, it is so amazingly amazing, (if that makes any sense) lol, i grew up eating mainly pasta and rice and its refreshing to see that somalia has more to offer then only those. so a big thanx from the bottom of my heart and keep up the great work. Thank you very much for your wonderful comment. We are very happy that you like the website. We wish you all the best. This drink is so delicious! Can’t stop drinking it Also, I put it in an ice cream machine for a party. We all loved it! I make your recipes one by one and they are really tasty. Greetings from Berlin, Germany! That is wonderful! Thank you for letting us know. Where do I begin !!!! Thank very, very much. It was nice reading your comment. We are happy that you have become such a good cook, and are able to impress your husband and guests. A salaamu allaykun ramadaan kariim all of u this is very amazing website i can’t express in words how this website is useful for all Somali women who want to maka different dishes for their family thank u very much jazakumulaahu khayran all ur recipe are special and easy to cook thank u again and again, u can be a popular in so many ways our people have to think to change this ruthless killing into sensible manner and ALLAH will help them to the good path. Ramadan Kareem, Asia. We are glad to know that you like the website. Thank you very much for your comment. Just out of curiosity do avocados grow in somalia? I asked a few people and they told me that it only grows in kenya. We found that information in a journal, but we have never seen avocado trees in Somalia.